MSN: The 900, A Cool Car! Probably even cooler in yellow! MSN’s website features a gallery of 51 cool cars. 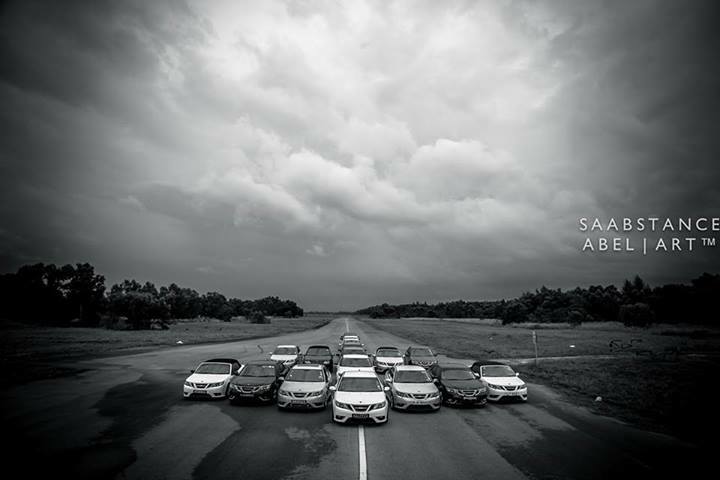 SAAB 900 is of course among them. Out-of-the-box thinking shouldn’t care what people think. On that note, here’s a front-driver with its engine mounted backward and heeled way over to fit the transmission, with visibility so good it seems you’re outside, but with heated Swedish seats, so you don’t feel like you are. And driving it is so fantastic, you don’t care how it looks. But it looks cool. This weeks sotw week is from Peter in the Netherlands, I’m loving the red top on his black 900, very striking. Hereby I like to attend the popular talent show SOTW with my “little red riding hood” (in dutch: roodkapje). I bought the Saab 900 2.5 V6 1996 two years ago, totally original. I like to finetune my Saabs with delicate changes, as I also did with this one. 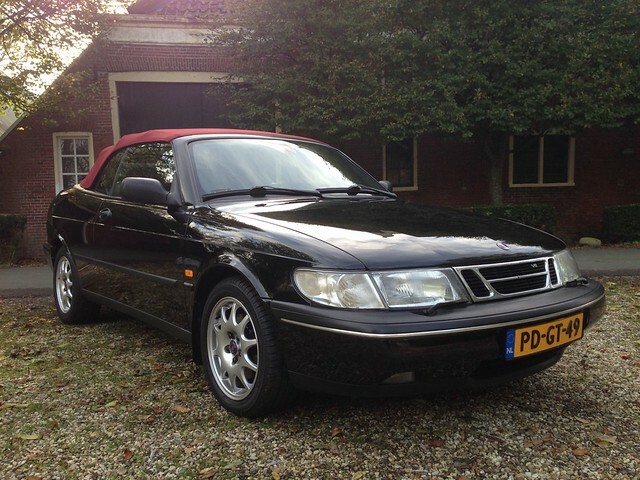 For example, I changed the hood for a bordeaux red coloured one, changed the end of the exhaust and bought some timeless Saab rims. I am very satisfied with the total result! I really hope to see it back on your great website. Keep up the good work! 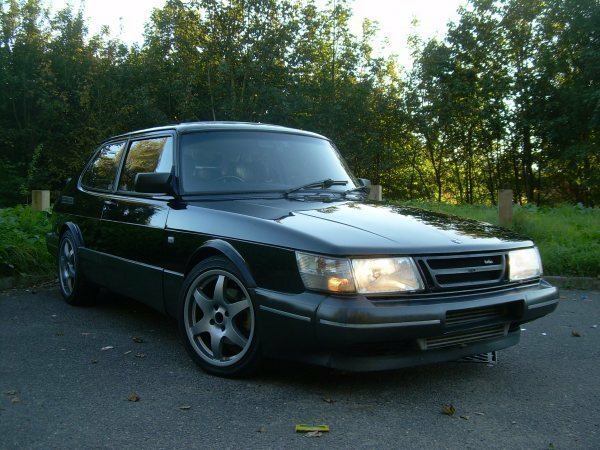 This weeks “Saab of the Week” comes to us from Konstantin in Bulgaria. 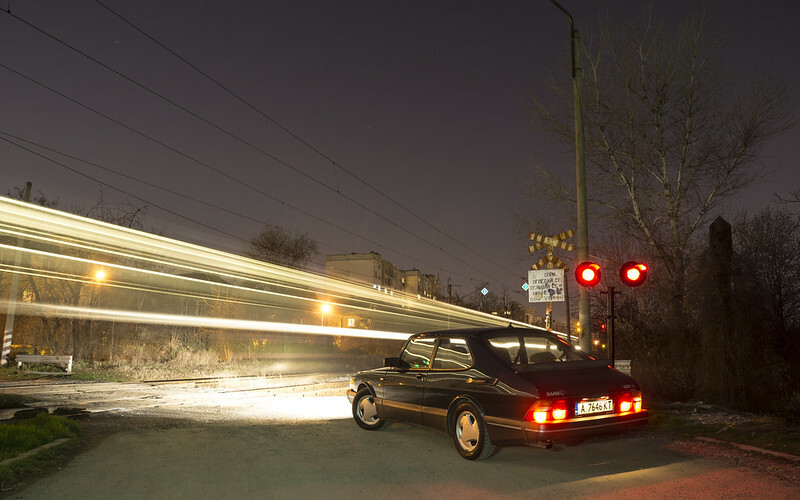 It is a Scarabee green 900S from 1991 waiting for the ghost train to pass by. 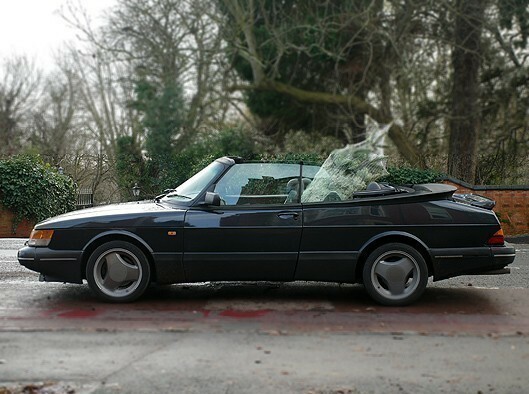 Paul, from Saab vs. Scepticism, lets us know the best way to get a Christmas Tree home. 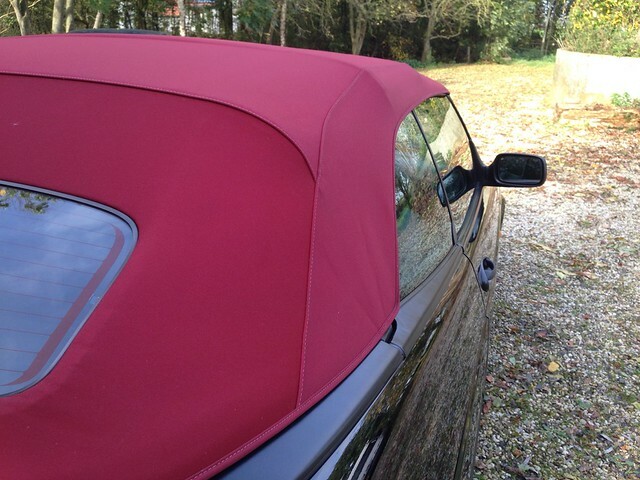 It’s taken a while and my bank balance has taken a hit but the job is done and Ruby is back to her former glory. It’s a nice feeling to drive her around and enjoy the car. 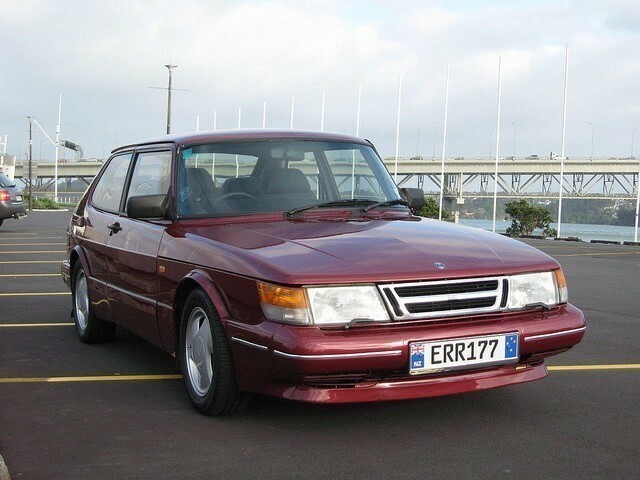 Graeme Lambert, our Saab mad friend who used to work at Auto Express, has written an article at Retro Classic Cars about how his affection or affliction with Saab was started. Below is an taster of his writings, the link to the whole story is below the picture. 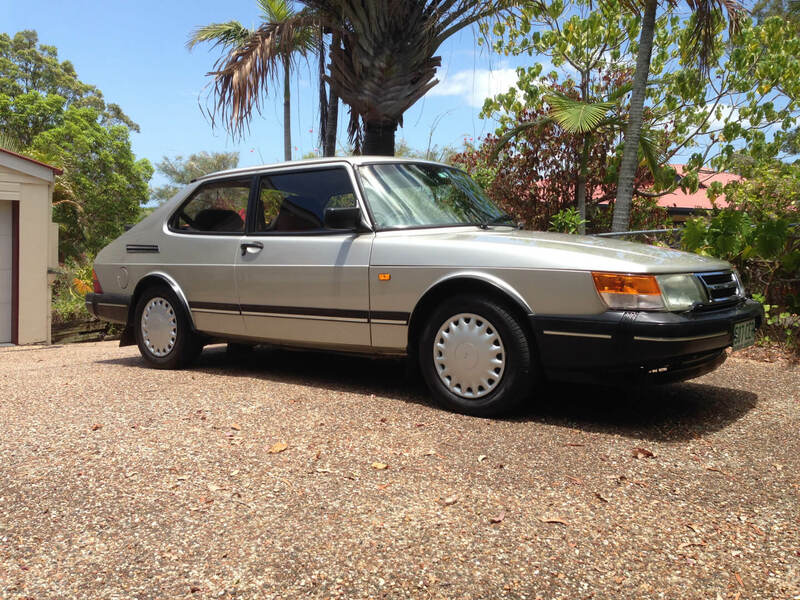 It’s a cliché, but Saab owners are a terribly loyal bunch, often appearing misguided and blinded by their love for the brand. The bug has bitten many, myself included, and no matter what happens with the company’s future you can guarantee it’ll continue biting. As a 12-year-old petrolhead who had grown-up around a series of Volvos, the announcement that my father fancied a change of brand instilled a sense of brio in me. The prospect of trawling round the local dealer network, scooping up scores of brochures as we went, was one of pure un-rivalled excitement. 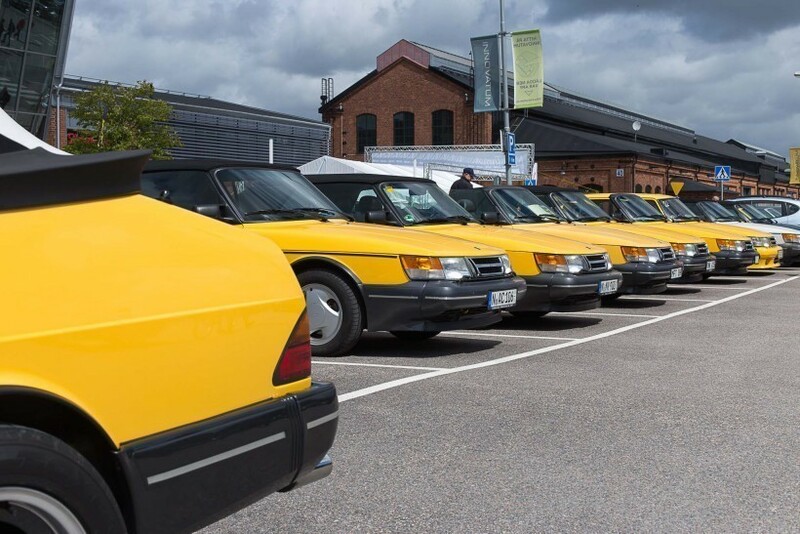 It didn’t take long to end up in the Saab dealer, and after examining various 9000 hatchbacks and saloons I sat back thinking my job was done. Until the weekend after when I discovered a sales sheet for a Volvo 460GLEi. Betrayed, there were tears before I informed them they’d made a mistake. 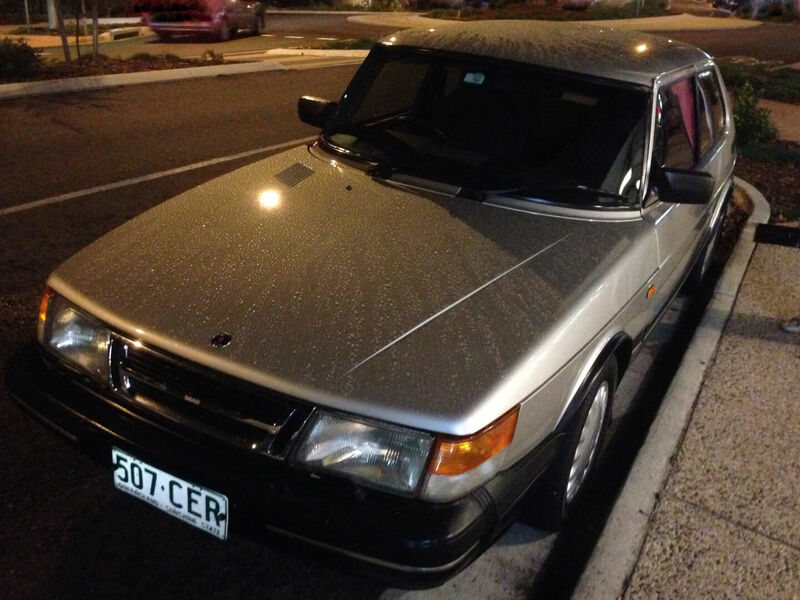 Two years later my tantrum was justified, and the ever-troublesome Volvo got the boot, replaced with a black Saab 9000.